Hylton Performing Arts Center teams up with Lyric Opera Virginia to create "Master Class" (photo courtesy of Darrick Speller). From Jan. 30-Feb. 2, the Lyric Opera Virginia, with help of the Hylton Performing Arts Center, presented “Master Class,” by Terrance McNally. 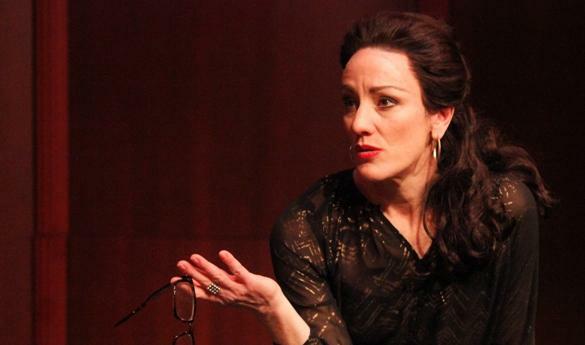 The small cast included Lisa Vroman, who played the central figure in McNally's play: Maria Callas. Accompanying her were Joe Walsh as Manny the pianist, two sopranos played by Aundi Marie Moore and Sarah Kate Walston, a tenor played by Joshua Baumgardner and a stagehand played by Mason student Matthew Lincoln-Bugg. Vroman was a whirlwind in this play. The show was set to resemble a stage at the Julliard School, New York City, in 1973. As the three singers walk in and Callas tears them apart viciously and passionately, she also tears apart her own life. Callas explores the reasons why she has become who she has become, and finds with each passing monologue a sense of growing exhaustion, frustration and pain. Vroman perfectly and painfully portrayed that ache to the audience with each passing monologue. She was also very funny, which did not hurt. 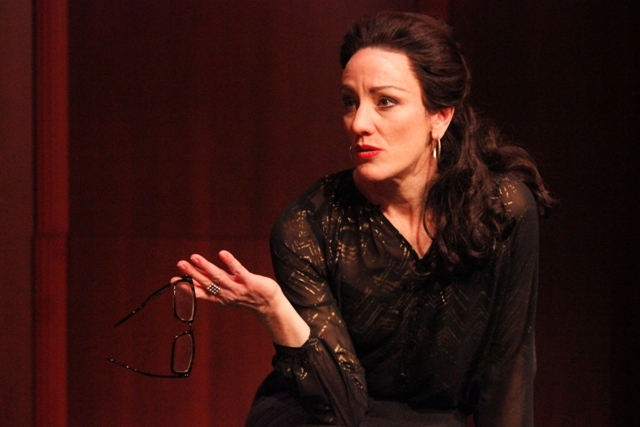 The show itself is very simple: the students come in, sing songs, Callas teaches them a lesson and they either learn from it or bite back at her with hurt, spiteful words. Each time, she ends up alone with only the audience to feel her grief at the pain she causes the students, not because of their own problems but because of how those problems pale in comparison to her own. Personally having little familiarity with Callas's personal life, the show twisted a jagged knife into my understanding of her as an operatic diva. She changed the way many people looked at the world of singing, yet she could hardly look past the shadows of her past and of her career to see the accomplishments she achieved. Also, applause should ring out for Walsh, the pianist. While he very rarely got to play through a full piece, the talent he exhibited was rich. It was only a shame the audience could not hear more. Director Greg Ganakas obviously understood the great talent he had to work with, especially with Vroman. Some of the direction choices he made were very risky, especially having her traipse along the balcony of the theater in one dramatic monologue, but it worked to benefit the play. Callas demanded that she be looked at and the audience could not help but watch her. And if the audience of this one weekend production is any indication, Vroman grasped that attention from us in spades. The show was intimate, set in the black box theater of the Hylton Performing Arts Center, but it made a lasting impression on those who came. Whether that impression was to grieve the pain of an operatic icon or to empathize with the burden of art remains up to each person who had the privilege of seeing such an impressive character study at work.